When it came to designing the Contra pedal, we were having trouble keeping the pedal profile thin while not sacrificing the strength of the spindle. Instead of taking an ‘off-the-shelf’ spindle, we went and developed our own custom option which uses a smaller caged bearing, but stays thicker closer to the crank arm where you need the strength the most. With removable pins on one side of the pedal, you can keep one side nice and grippy, and one side for grinding on. You can also put the steel pins in after the moulded pins have been worn down to give more life to your pedal. 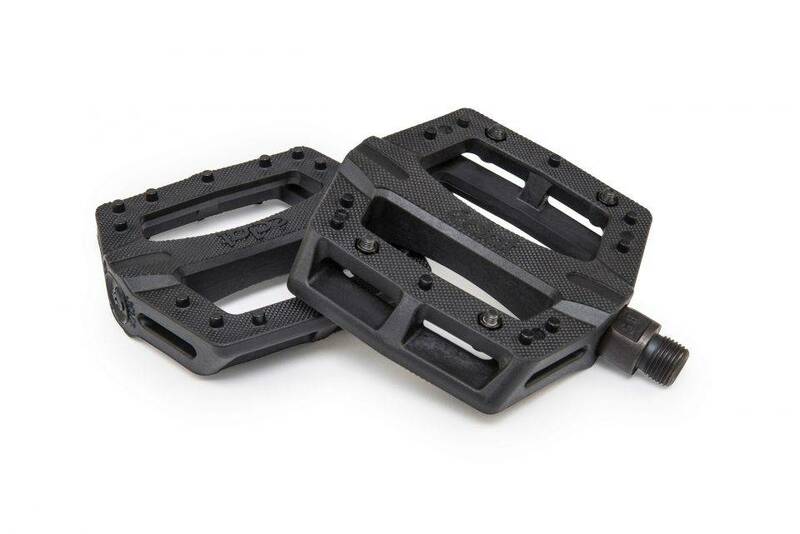 The end result is a super low profile pedal, with an axle built to withstand the force of today’s toughest riding.